Contrary to popular belief, paper is more difficult to bond than is generally thought. Due to its unique structure and surface properties, it takes specific paper adhesives to achieve a bond. If your company requires paper adhesive for a project or a manufacturing need, epoxies from Cyberbond are your strongest bet for forming structural bonds. At Cyberbond, we strive to deliver consistent quality to conform to all of your business’s production standards. We have the ability to get your company a single case of paper glue for small applications and also have the means to deliver mass quantities to meet your large-scale production requirements. Cyberbond is an international adhesives manufacturer that global businesses count on to meet their growing needs for paper adhesives. Paper glue can come in many different forms, (high/low viscosity, colour, quick/slow set time, etc. ); Cyberbond offers the most customizable and reliable paper adhesives available. With our paper glue as well as any other adhesive we offer, Cyberbond is committed to quality and we prove it through ISO 9001:2008 certification, ISO/TS 16949:2009 certification and ISO 13485:2003 certification. Request of sample of our paper adhesives by getting in touch with Cyberbond today for all your paper bonding needs. 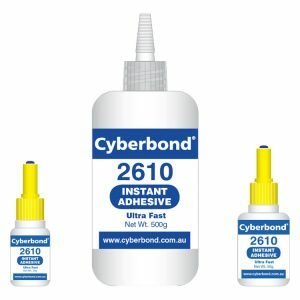 Please check out the following paper adhesives that Cyberbond is proud to offer.